Clear comfortable vision is important to you, and it's important to us too. 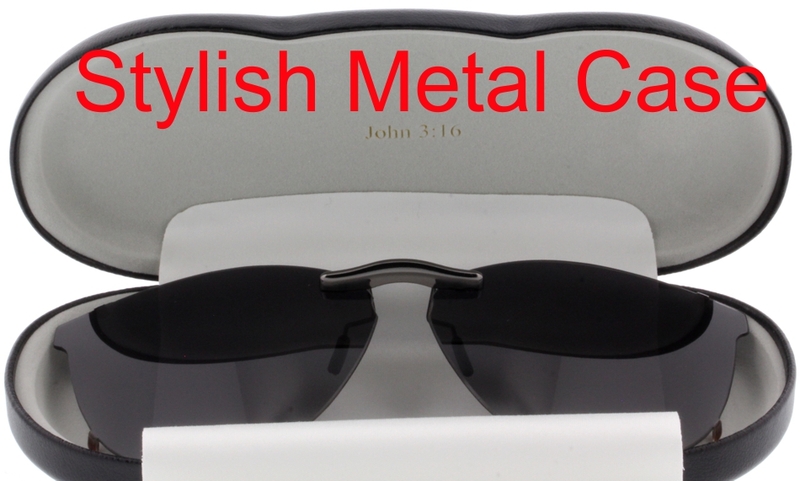 88ClipOn® custom make after-market clip-on sunglasses for leading brand name prescription frames including Oakley & Ray-Ban. Our goal is to make the closest match possible to the frame and lens shape. This close, custom fit, allows for less light to penetrate between your Rx and your clip on polarized sunglasses. Our clip on sunglasses for eyeglasses are built with the highest quality lightweight materials to rigid specifications and absolute tolerances. We hand craft each custom clip-on sunglasses for Ray-Ban & Oakley prescription eyeglasses as well as Prada, Polo, Nike, Silhouette, Tag Heurer, GUCCI, Perry Ellis and many more designer brands. If you can not find the brand and model for your eyeglasses, we welcome you submit a custom order and we'll build you the first 88 ClipOn polarized sunglasses for your favorite, designer prescription eyeglasses.